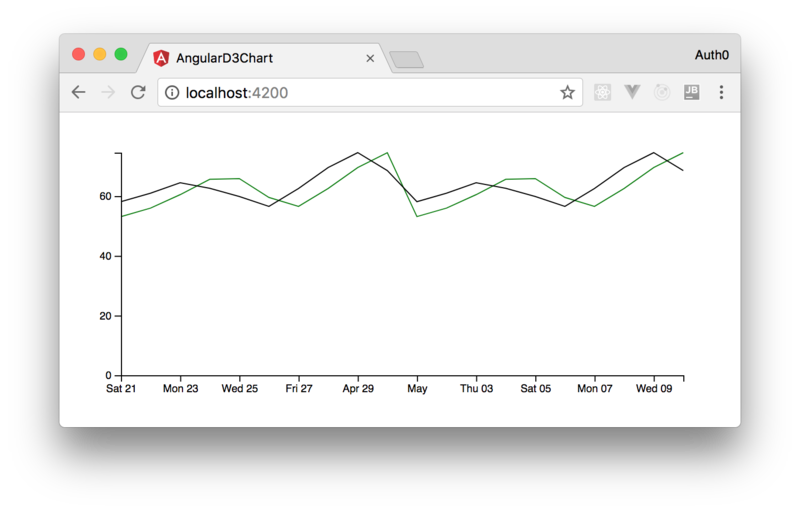 Learn how to use Angular, D3, and Socket.IO to build an application that provides real-time charts to its users. TL;DR: Charts create some of the most catchy sections on any business applications. A chart that updates in real time is even more catchy/useful and adds huge value to users. Here, you will see how to create real-time charts using Angular, D3, and Socket.IO. You can find the final code produced throughout this article in this GitHub repository. With the evolution of the web, the needs of users are also increasing. The capabilities of the web in the present era can be used to build very rich interfaces. The interfaces may include widgets in the dashboards, huge tables with incrementally loading data, different types of charts and anything that you can think of. Thanks to the technologies like WebSockets, users want to see the UI updated as early as possible. This is a good problem for you to know how to deal with. In this article, you will build a virtual market application that shows a D3 multi-line chart. That chart will consume data from a Node.js backend consisting of an Express API and a SocketIO instance to get this data in real time. "Learn how to create real-time @Angular apps with D3 and Socket.IO"
The demo app you are going to build consists of two parts. One is a Node.js server that provides market data and the other is an Angular application consuming this data. As stated, the server will consist of an Express API and a SocketIO endpoint to serve the data continuously. Once they are installed, you can start building your server. As this command starts your Node.js server on port 3000, you can visit the http://localhost:3000/api/market URL to see the market updates on the last few days. The updateMarket method generates a random number every time it is called and adds it to (or subtracts it from) the last market value to generate some randomness in the figures. Then, it adds this entry to the marketPositions array. With these changes in place, you can start building the Angular client to use this. To generate your Angular application, you can use Angular CLI. There are two ways to do it. One is to install a local copy of the CLI globally in your machine and the other is to use a tool that comes with NPM that is called npx. Using npx is better because it avoids the need to install the package locally and because you always get the latest version. If you want to use npx, make sure that you have npm 5.2 or above installed. 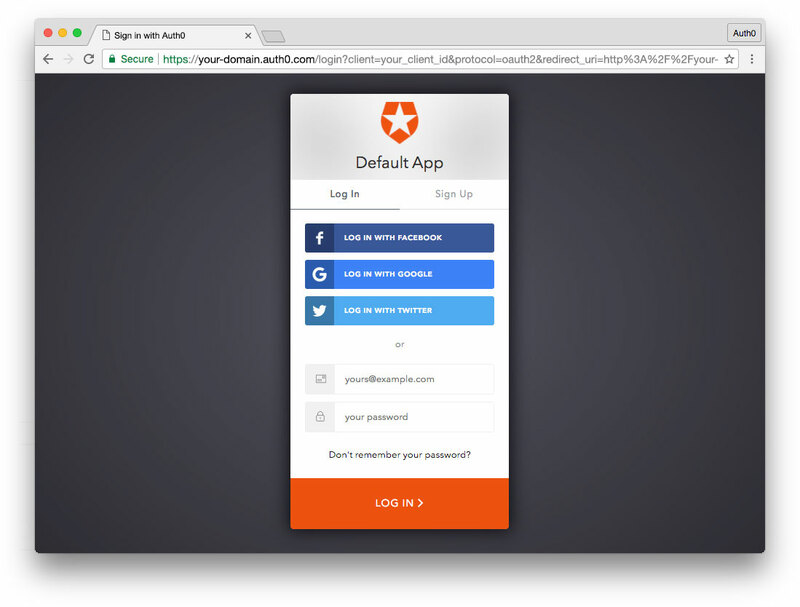 To see the default Angular application, just point your browser to the http://localhost:4200 URL. Now that your Angular application setup is ready, you can start writing its code. First, you will add a component to display the multi-line D3 chart. Second, you will create a service to fetch the data. For now, this service will consume static data from the REST API then, in no time, you will add real-time capabilities to your app. As you can see, the new version of this file does nothing besides adding the HttpClientModule to the imports section of the AppModule module. The D3 chart will be rendered inside this <div #chart> element. As you can see, you created a local reference for the div element (#chart). You will use this reference in your component class while configuring D3. This component will not use the MarketStatusService to fetch data. Instead, it will accept the data as input. The goal of this approach is to make the market-chart component reusable. For this, the component will have an Input field and the value to this field will be passed from the app-root component. The component will use the ngOnChanges lifecycle hook to render the chart whenever there is a change in the data. It will also use the OnPush change detection strategy to ensure that the chart is re-rendered only when the input changes. Now, the MarketChartComponent class has everything required to render the chart. In addition to the local reference for the div (chartElement) and the lifecycle hook, the class has a few fields that will be used while rendering the chart. The parseDate method converts string values to Date objects and the private fields svgElement and chartProps will be used to hold the reference of the SVG element and the properties of the chart respectively. These fields will be quite useful to re-render the chart. // Add the valueline2 path. Refer to the comments added before every section in the above method to understand what the code is doing. Also, if you have any specific doubt, just leave a comment. The call to the on method on the Socket.IO manager adds a listener to the market event. The callback passed to this method is called whenever the Socket.IO endpoint publishes something new. In the above snippet, the statements marked with the numbers are the new lines added to the constructor. Observe the statement labeled with 3. This statement creates a new array instead of updating the field marketStatus. This is done to let the consuming app-market-chart component know about the change when you have an update. Now, if you run the application, you will see an error on the browser console saying global is not defined. With this, all the changes are done. Save all your files and run the applications again. You can move into the server directory in one terminal and issue node index.js to run your backend API, then move to the angular-d3-chart directory and issue npm start to run the Angular application. Now, if you head to (http://localhost:4200)[http://localhost:4200], you will see your nice chart with real-time data flowing into it every 5 seconds. "Adding real-time capabilities to @Angular is easy with D3 and Socket.IO"
As you saw in this tutorial, the web has capabilities that allow you to build very rich applications. Your real-time chart, for example, adds a huge value to your app because there the user knows that they will have the latest data without having to refresh the page or performing any action. This kind of interactivity improves your users' experiences and will contribute to their happiness. WDYT? Ready to add some real-time data to the web?